The Amber Fort in Rajasthan built in 1592 by Raja Man Singh, is one of the finest examples of Rajput architecture. Perched high on a barren ridge, it commands extensive views over a deep narrow valley and the wider plains beyond. Chittaurgarh exhibits the pride and glory of Rajasthan in the form of its various forts and monuments. It is a ruined citadel where the royal past lives in the imposing forts, graceful palaces and spectacular chhatris. 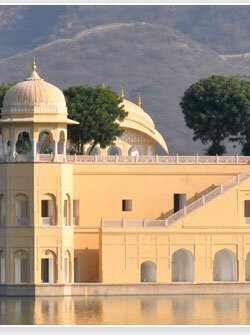 The entire city echoes with the tales of romance and valor unique to the Rajput tradition. 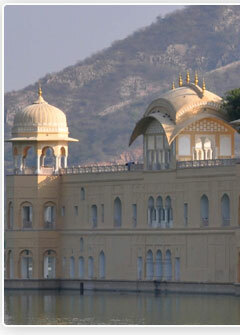 What is there in Rajasthan if not its forts that together give the image that Rajasthan is famous for. Built over the hilltops, in the middle of enormous deserts, and inside the wild world, these forts also showcases close association between the men and their close possessions. Many of these forts while look rugged and rough from their exteriors; the interiors take you to an altogether different world. 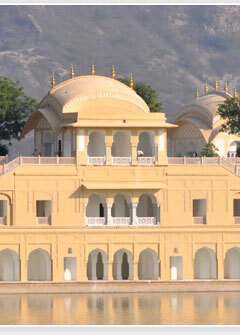 Surprises are the second name of these architectural marvels spread throughout the land of Rajasthan. Deep in the heart of the Thar Desert is Jaisalmer, one of the last princely bastions in the region. Founded on what was the cross - road of lucrative trade routes, this remote settlement came to be celebrated for the valour of its rulers, and for the aesthetic sense represented by their palaces and havelis. Chittaurgarh exhibits the pride and glory of Rajasthan in the form of its various forts and monuments. 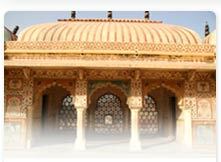 It is a ruined citadel where the royal past lives in the imposing forts, graceful palaces and spectacular chhatris. 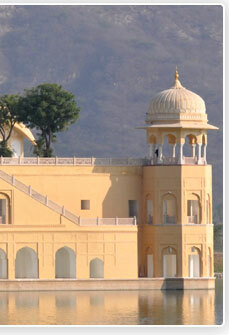 The entire city echoes with the tales of romance and valor unique to the Rajput tradition. Hundreds of centuries ago, before this expansive desert came into existance, this area was a sea called Drumkulya. Epics have it that an arrow bound fire shot by Lord Rama burnt a large part of the sea and converted it into a desert. This desert was called Maru Mandal, Marudhar, Maruwar, Maru Desh and Marwar.